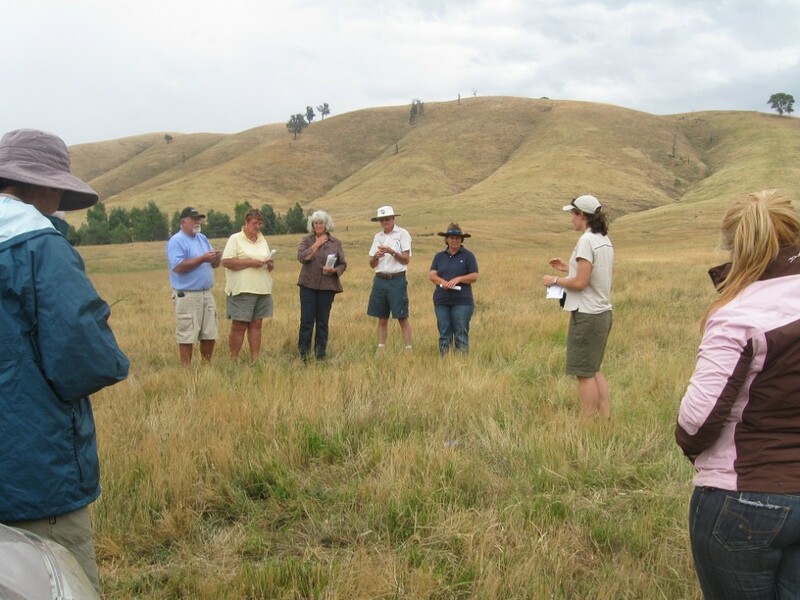 Site focus: To improve the abundance and productivity of the Microlaena-based native pasture through rotational grazing, and appropriate destocking to allow the native grasses to flower, and to decrease the proportion of problem annual grasses through targeted grazing in late winter-early spring. Also, maintaining ground cover on the steeper slopes to minimise runoff and erosion risks, particularly from summer storms, through encouraging the existing native perennial grasses that are well adapted to the acidic and infertile soils found on the Basin walls. Soils and topography on the farm: The site are is located on the south-facing rising slopes of the Basin which are dominated by the native perennial grass Microlaena. The soils are shallow and sedimentary in origin, acidic and infertile in nature and with low water-holding capacities. Rotational grazing. 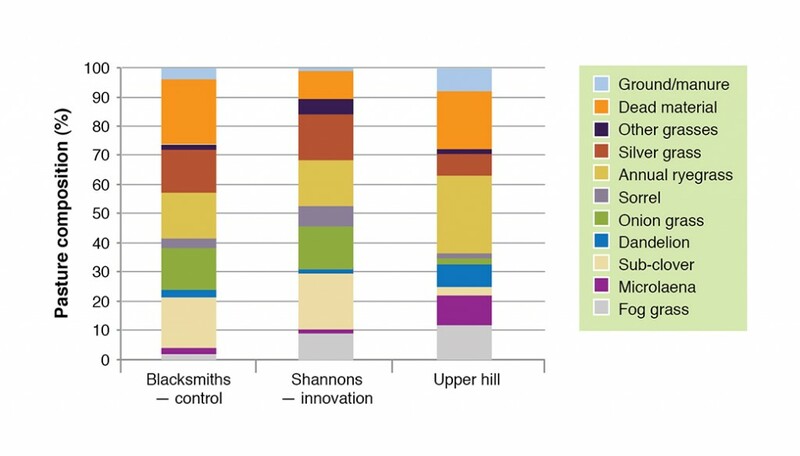 A four paddock rotation was established in 2007 on the rising and steeper slopes, although from time to time the upper slope paddocks and sometimes all four paddocks were destocked when water supplies declined significantly. 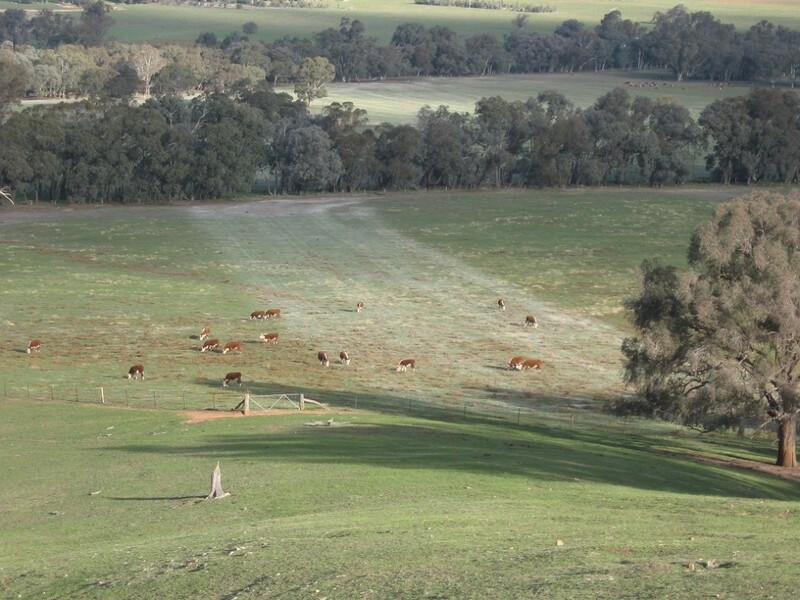 There are many seasonal springs in these paddocks and once they dry up, a dam between the two rising slope paddocks remains the only water source over summer. Destocking of one lower slope paddock (Shannons) in summer-autumn of each year to allow native grasses to flower. The other lower slope paddock (Blacksmiths) acted as the control as it was grazed as part of the normal rotation, and often quite heavily over the summer after the springs in the two upper slope paddocks had dried up. As the pasture in these four paddocks are a mix of native perennial grasses and exotic annual grasses and legumes, increased grazing pressure in early spring was applied to the lower slope paddock, Shannons, to reduce the seed set of annual grasses, particularly silver grass (Vulpia spp) which was quite thick in this paddock. Grazing days (DSE/ha) were recorded. 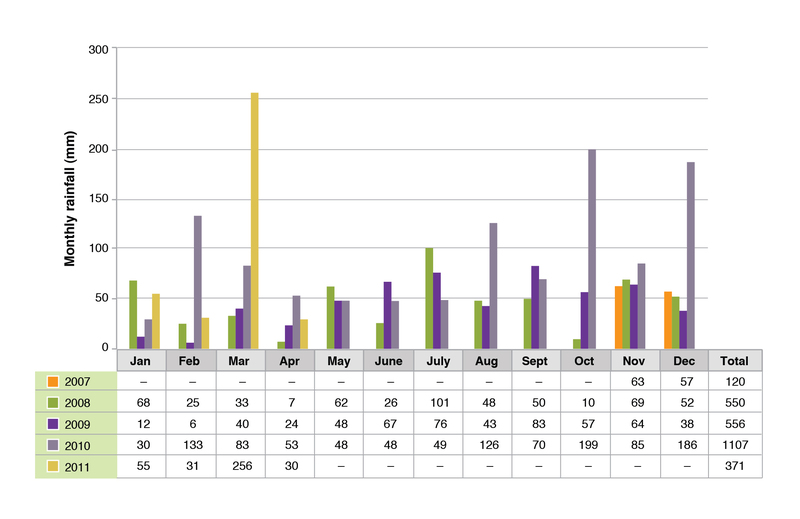 This can be done using the EverGraze Feedbase Planning and Budgeting Tools. The first two years of the trial (2008 and 2009) were characterised by low rainfall followed by two wetter than average years (Figure 1). Wet summers in 2010/11 (550 mm) and 2011/12 (524 mm) and average (240 mm) to slightly wetter (264 mm) summers in 2007/08 and 2009/10 produced significant flowering and growth of Microlaena. 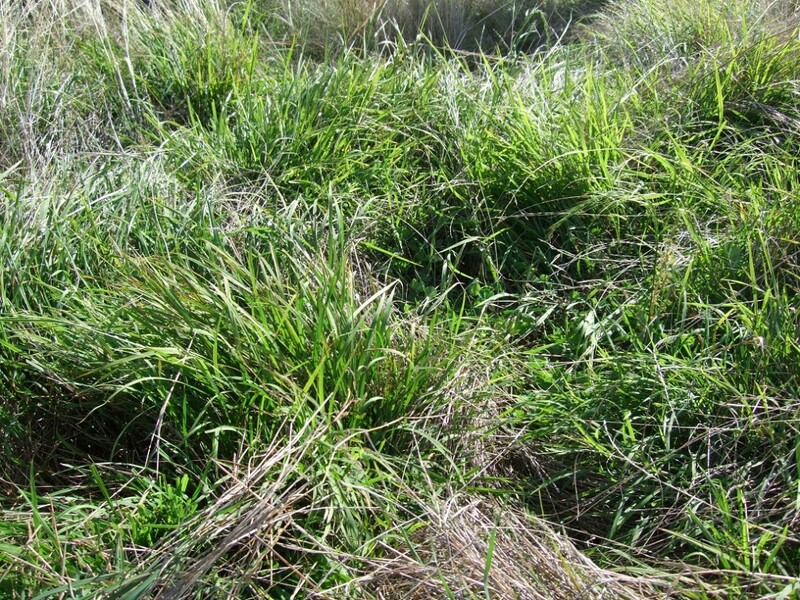 A healthy sub clover (15-20%) and annual ryegrass (10-20%) percentage in Blacksmiths and Shannons (evident in spring composition measurements) mean that this pasture should respond well to superphosphate fertiliser (Chiltern EverGraze Proof Site). The presence of these species, together with the high quality native Microlaena also indicate that establishing introduced pastures such as phalaris and sub clover may be of little value. The main undesirable annual species include silver grass (10-20%), onion grass (5-20%), fog grass (5-10%). Silver grass was the dominant undesirable annual grass species and the target for manipulating composition. The presence of sorrel is likely a result of high soil acidity, and onion grass potentially low soil fertility. Soil tests were taken throughout the demonstration. The results were similar between the Control and Innovation, which is represented in Table 1. The soil was inherently low in pH and high in aluminium, preventing establishment of any improved pastures without significant lime applications. Lime was applied to a strip across the paddock in 2008. The result was a notable increase in silver grass in the treated area. Presumably the Microlaena did not respond to the increased soil pH since it has evolved in high acid conditions. Ameliorating soil acidity therefore makes way for increased abundance of introduced species. Soil phosphorus levels started quite high in 2007 and declined throughout the trial, even though with the exception of 2011, superphosphate fertiliser was applied at maintenance levels (approximately 0.8 kg/ha/DSE). This raises questions about the validity of the original phosphorus test, as well as the required maintenance rate for this soil. It is worth noting that for tests taken between 2010 and 2012, soil phosphorus levels were maintained. Table 1. Soil test results of Shannon’s (Innovation). 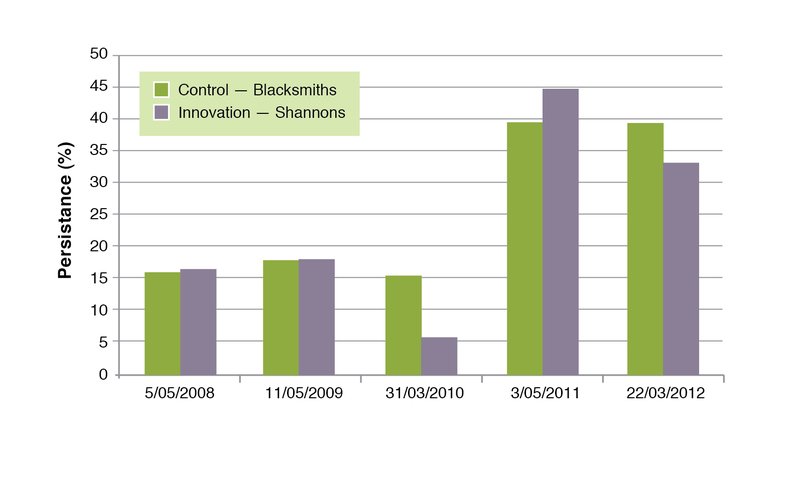 Over the 4½ years of the demonstration (November 2007 – April 2012), the Innovation paddock (Shannons) ran a slightly higher stocking rate (average 11.1 DSE/ha) than the control paddock (10.1 DSE/ha), despite being locked up for the first six months of the demonstration (Table 2). 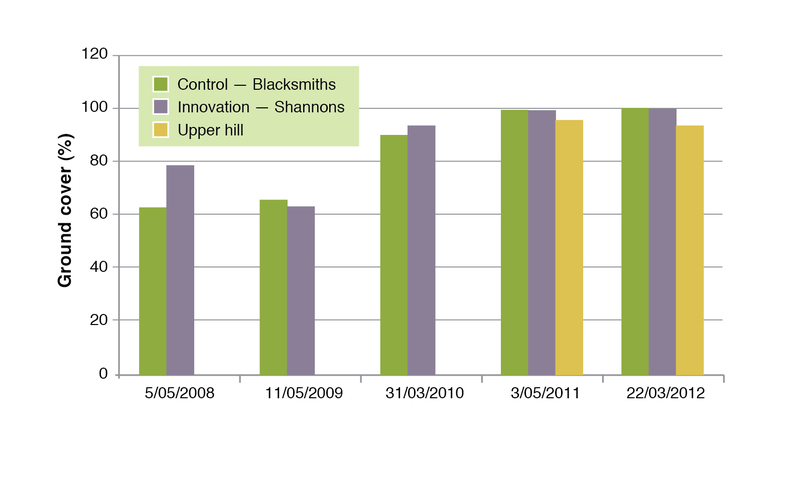 The high 2011 stocking rate of the Innovation paddock was the main reason for the difference. The Innovation paddock was shut up for six months at the start of the demonstration (December 2007 – May 2008) to allow Microlaena to flower and reseed. During that six month period, the control paddock was stocked for 132 days continuously from early January to mid-May 2008. At an agistment cost of 40c/DSE/week, this equates to $77/ha of lost grazing time on the Innovation paddock. With average summer rainfall, Microlaeana vegetative growth was excellent in both paddocks and maintained the condition of the cattle grazing in the control paddock over that time, while in the ungrazed Innovation paddock, the Microlaena flowered four times and matured. When cattle were returned to Innovation paddock in May, the quality of the Microlaena feed had declined significantly and only provided 6,240 DSE grazing days before the cattle were removed. While the Microlaena did flower and produce seed in the ungrazed Innovation paddock, the absence of grazing did not then allow the sward to be opened up to provide spaces for the Microlaena seed to germinate in. Recent research at Chiltern EverGraze Proof Site has also shown that Microlaena is much more reliant on vegetative spread anyway, which can occur under moderate grazing pressure. The loss of grazing potential in the form of high-quality feed produced by the actively-growing vegetative Microlaena after summer rains. The extra pressure placed on the control paddock through cessation of the rotational grazing cycle for six months. The loss of animal condition with the grazing cycle stalled for six months to allow the Microlaena to flower in the next paddock in the cycle. Over the five years of autumn monitoring, the most pronounced change in the persistence of Microlaena in both paddocks, was the effect of summer rainfall and wetter seasons in 2011 and 2012, with large increases in both Microlaena frequency and growing points in those two autumns (Figure 4). Generally there was little change due to the innovation of summer-autumn rest in the early years and of more intensive late winter – early spring grazing to the abundance of Microlaena. 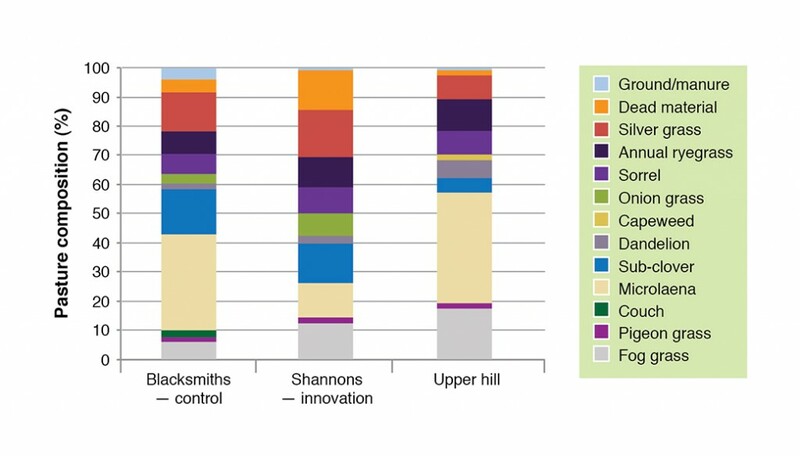 Only after the drier season of 2008 and 2009 was there a suggestion that the Microlaena may have declined in the Innovation paddock (Shannons) but the responses in 2011 and 2012, relative to the control, show that this was a temporary, if real, effect. 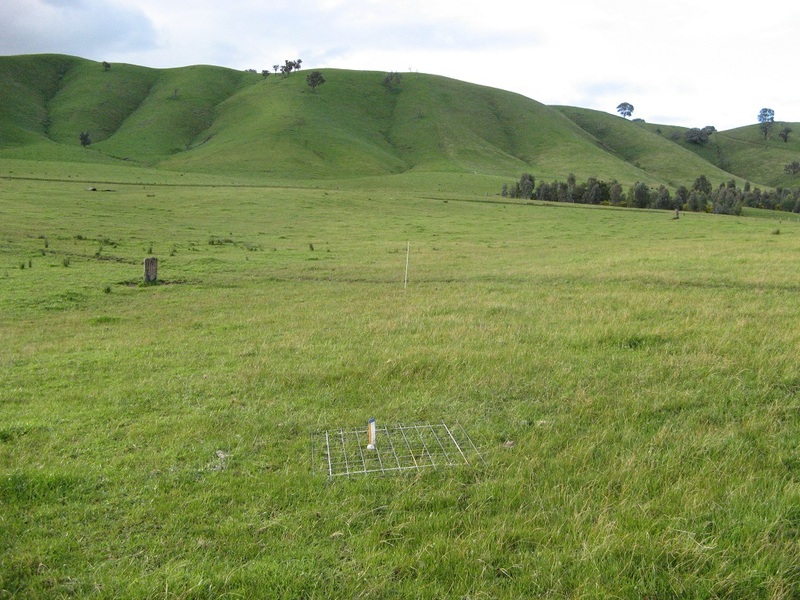 The lack of impact of grazing system on Microlaena frequency is consistent with findings at Orange, Chiltern and Holbrook EverGraze Proof Sites. These sites also displayed the very high capacity for Microlaena to increase frequency rapidly after high summer rainfall years, regardless of grazing pressure. It was only in the first two autumns of the demonstration that ground cover (Figure 5) fell below the critical 70% value. In autumn 2008, ground cover in the Innovation paddock (Shannons) was adequate (78%), whereas in the control paddock (Blacksmiths), it had fallen to 62%, perhaps the consequence of approximately 120 days of continuous grazing, compared with no grazing in Shannons for five months. In 2009, ground cover in both paddocks had fallen below 70%, the consequences of a dry 2008 and a dry 2008/2009 summer (only 18mm was received in January and February 2009). The use of grazing management to address the primary production and environmental issues of improved abundance of, and the greater productivity and ground cover provided by the native grass, Microlaena, on steeper sloping country, was largely overshadowed by the impact of two wet summers on Microlaena recruitment and production. However, the grazing management practices used in this demonstration can now be used to maintain this new recruitment of Microlaena plants for the longer term. The rest of the farm consists of phalaris-based pastures on the flatter floor of the Basin and the findings of the Holbrook EverGraze Proof Site has provided a strong understanding on the improved integration of the grazing of steeper native pasture country with the flatter down-slope phalaris pasture paddocks. In the past, integration of the grazing of the phalaris and native pastures was determined more by seasonal conditions (dry summers) and livestock condition than by planned and integrated use of both pasture types. The results indicate that deferring grazing from the end of spring to the autumn break the following year comes at a large cost and does not result in greater recruitment of Microlaena. Microlaena has a high tolerance of grazing, and provided it is maintained above critical ground cover and herbage mass benchmarks, in years of high summer rainfall it will rapidly spread through rhizomes, stolons and tillering, but not by seed. Thank you to Chris and Judy Griffiths for hosting the site, implementing the required management strategies, hosting field days and recording grazing days throughout the demonstration. This site was supported by Australian Wool Innovation, North East Agribusiness Forum, North East CMA, Caring for Our Country, Central Highlands Agribusiness Forum, Agriculture Victoria and Future Farm Industries CRC (and its partners) through the National EverGraze Project.